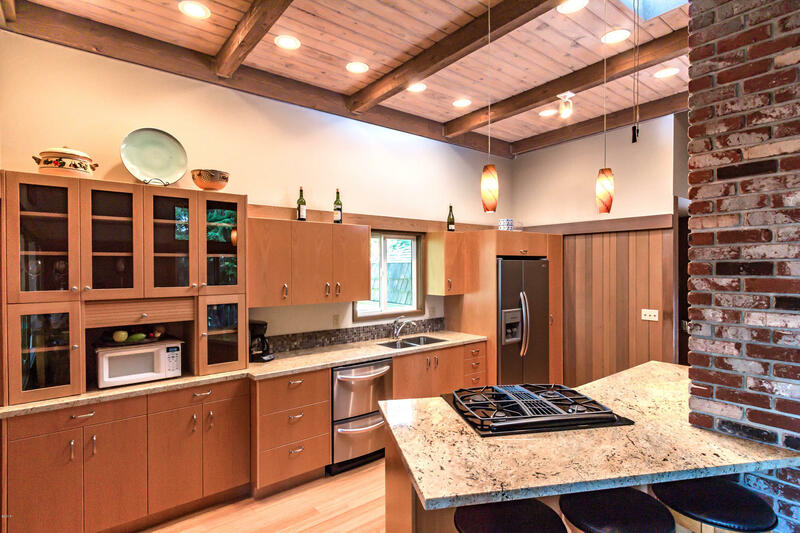 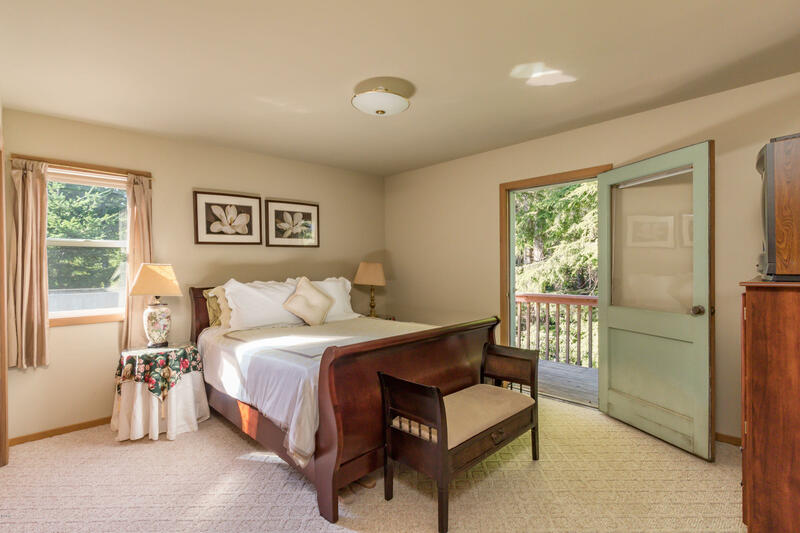 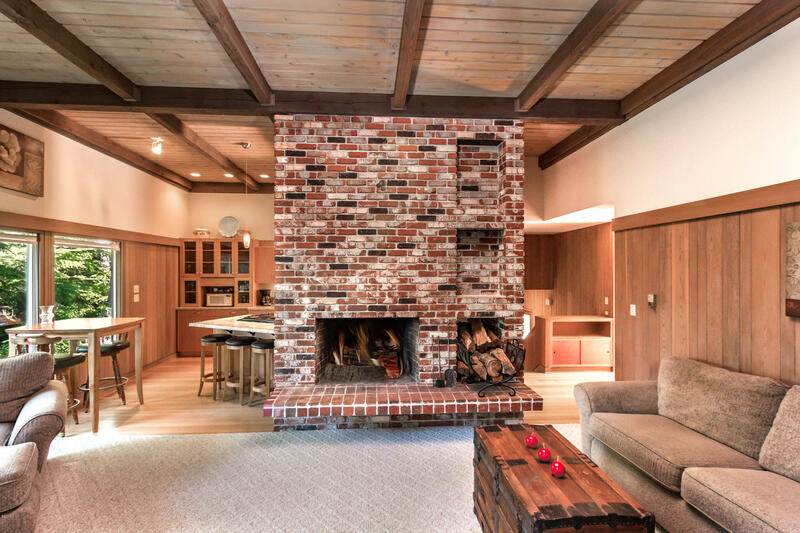 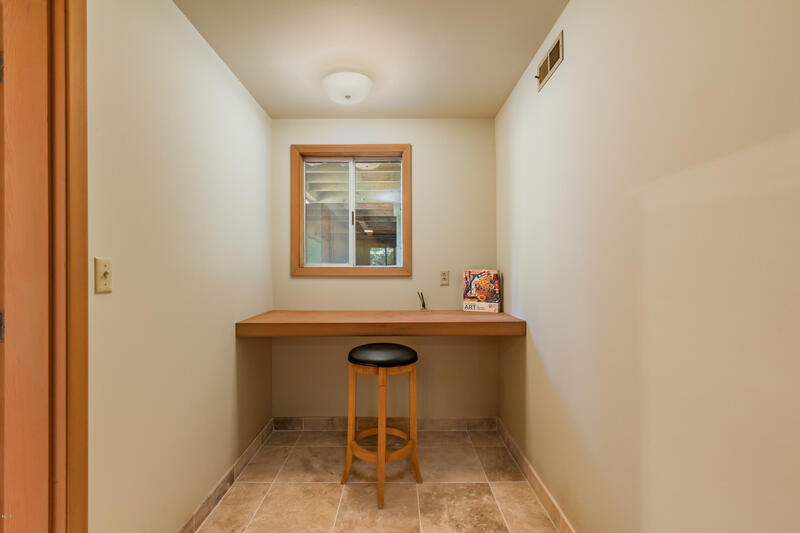 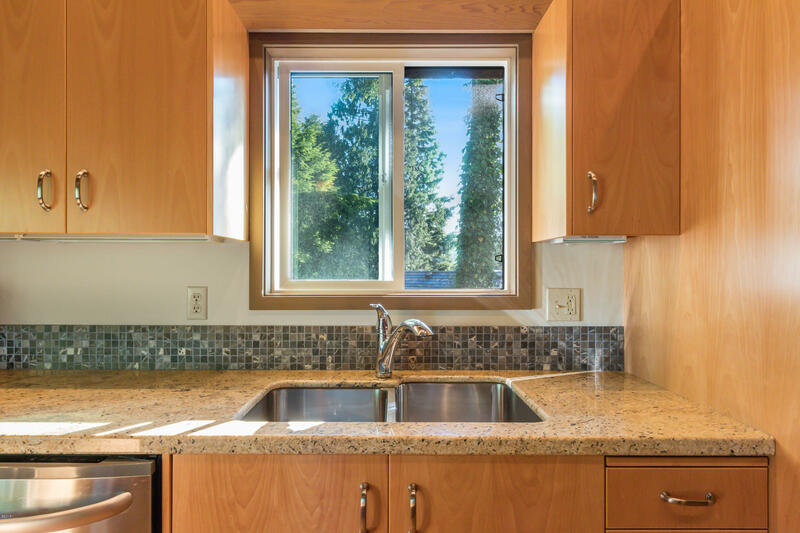 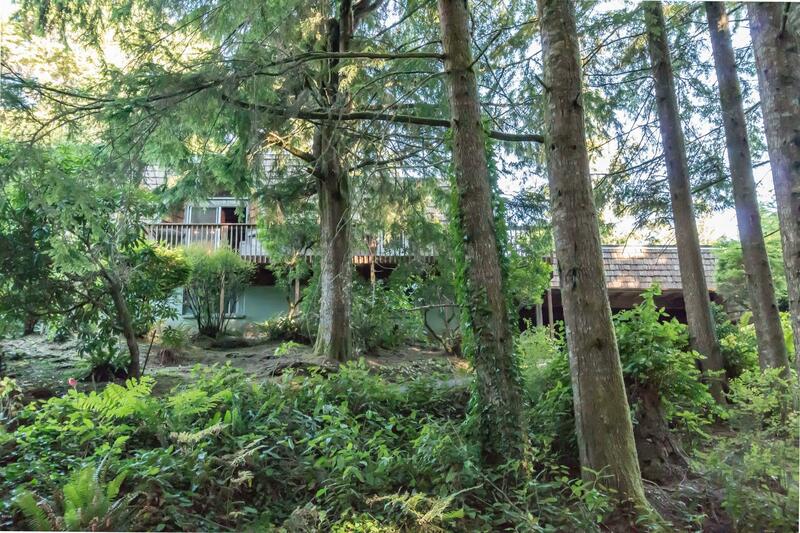 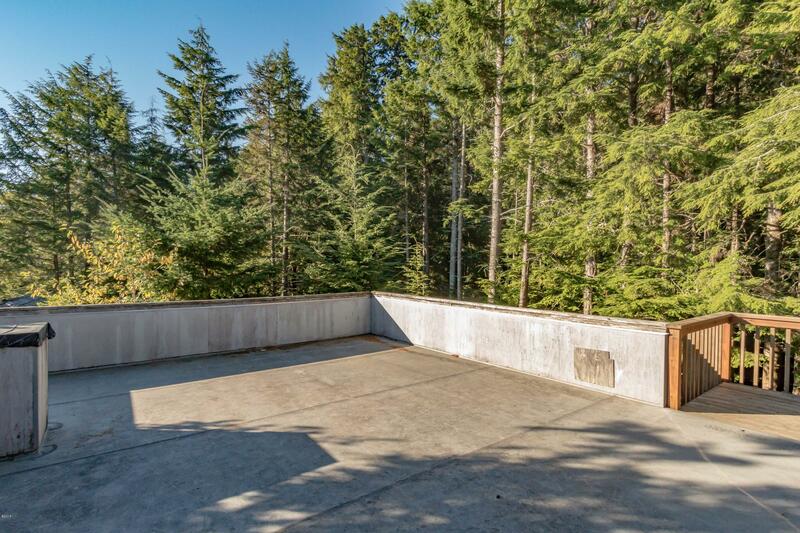 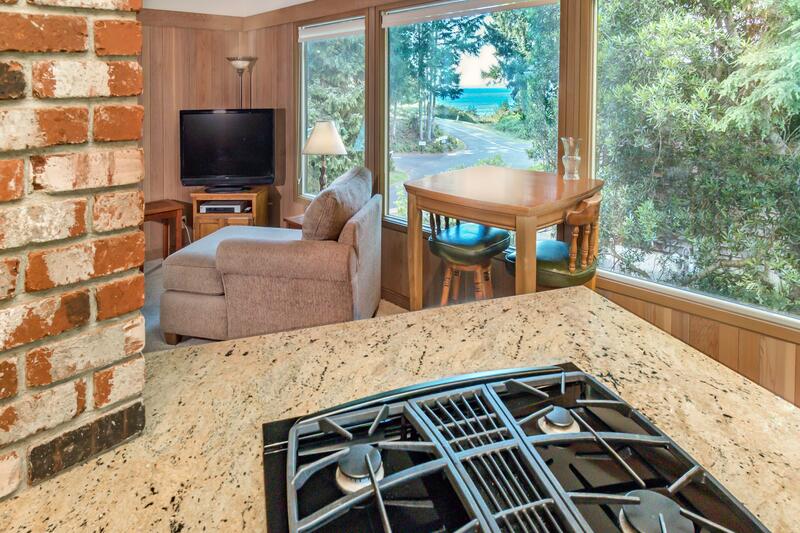 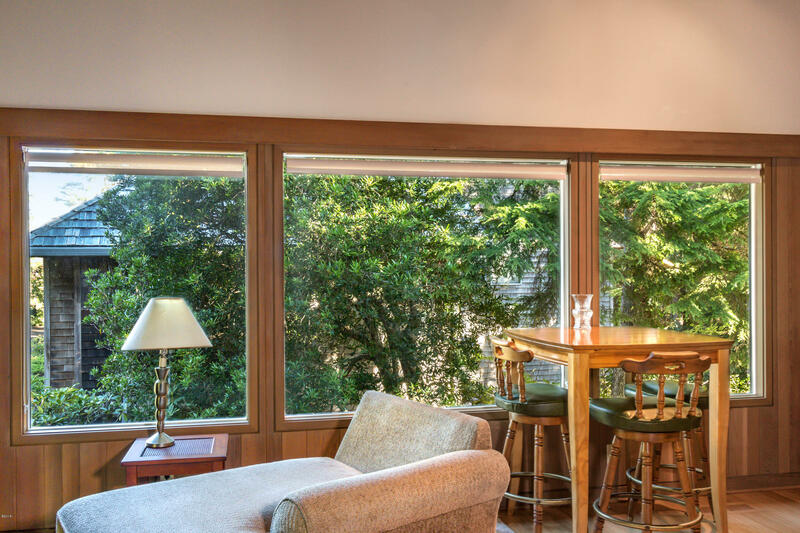 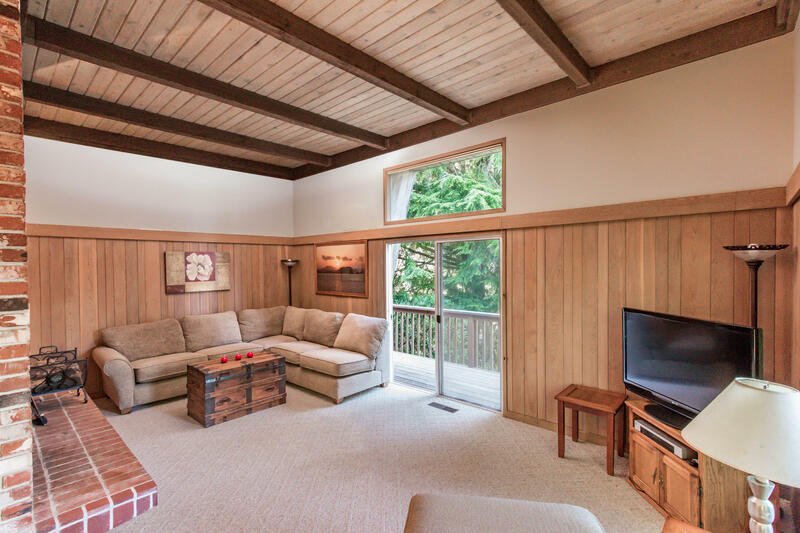 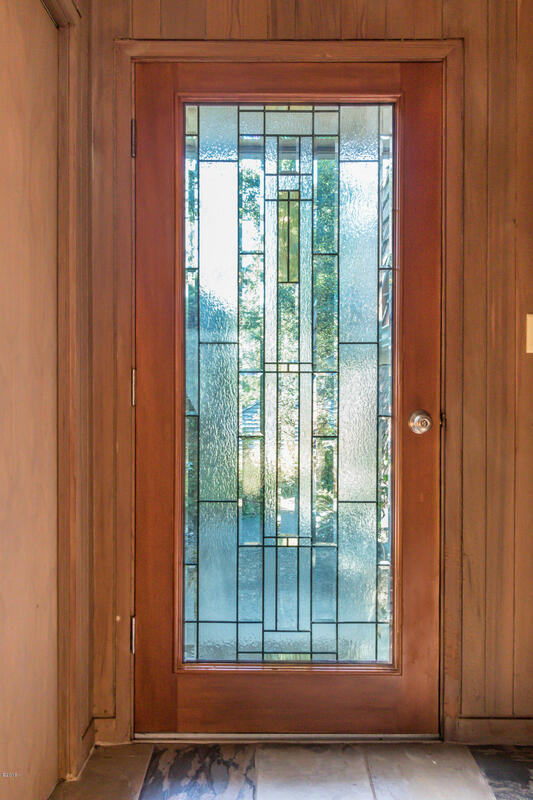 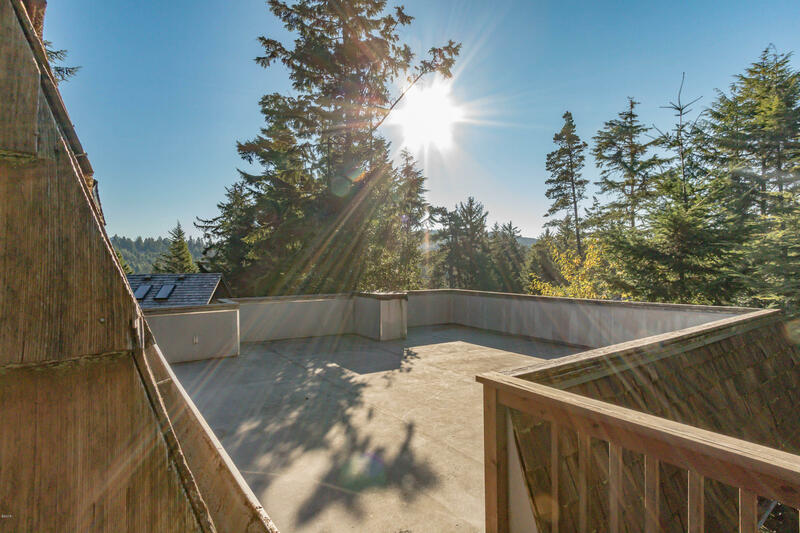 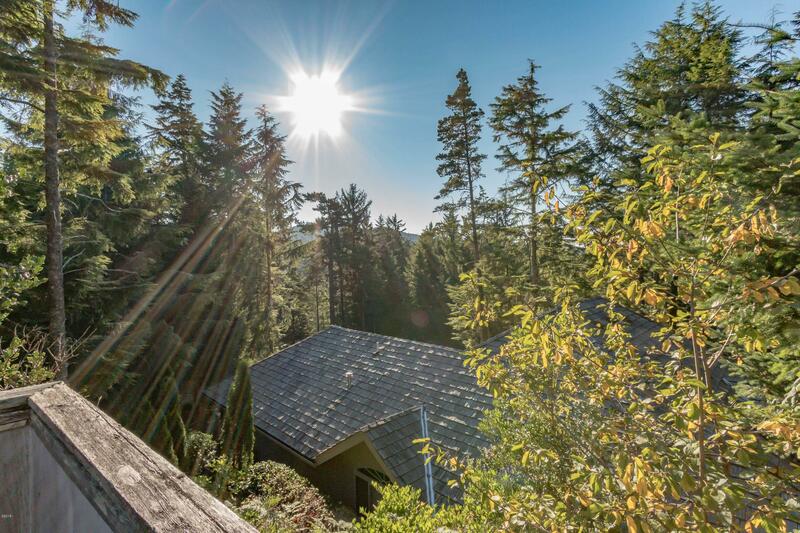 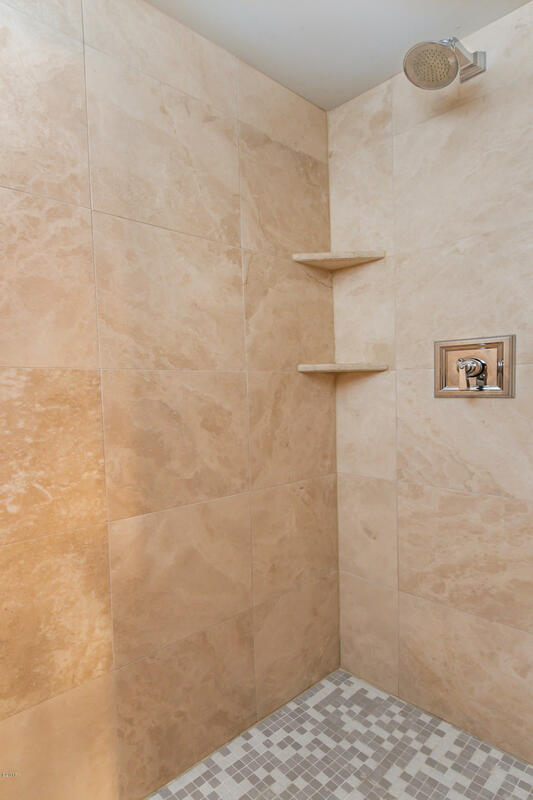 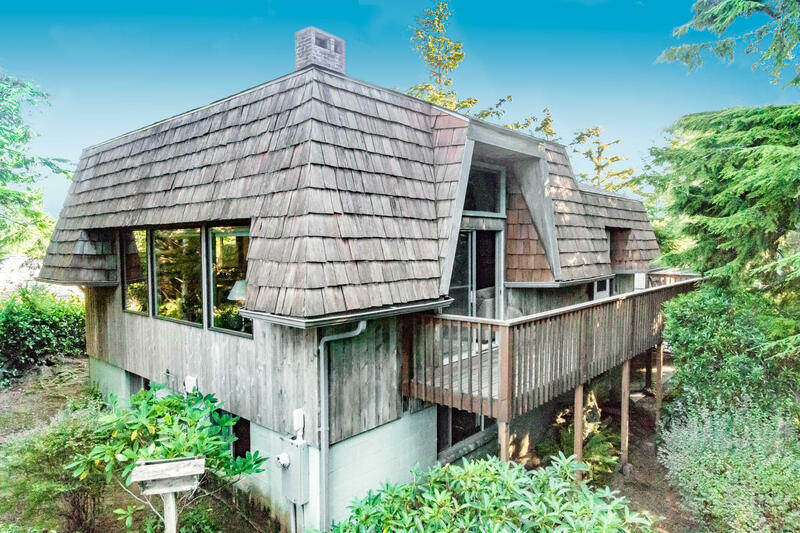 Perfect location on the west side of Salishan with peek of ocean. 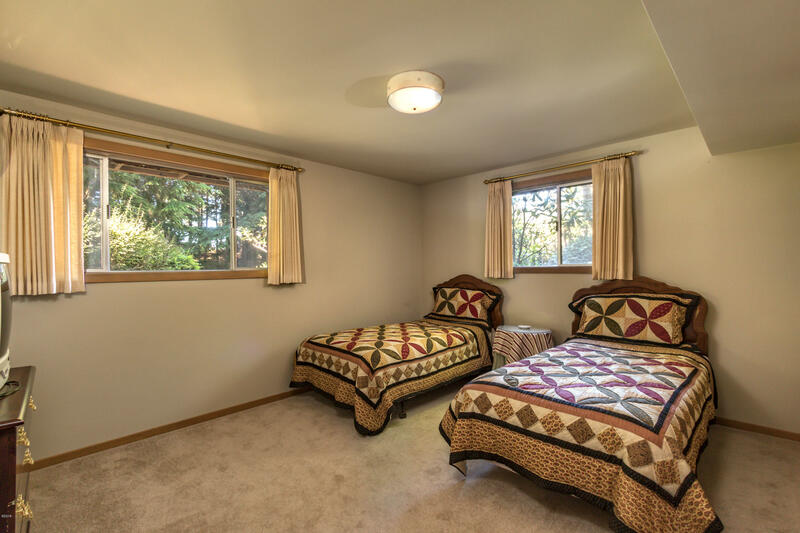 Interior features a remodeled kitchen with granite counter tops and hardwood floors, new bathrooms, beautiful fireplace in living room and single small garage plus carport. 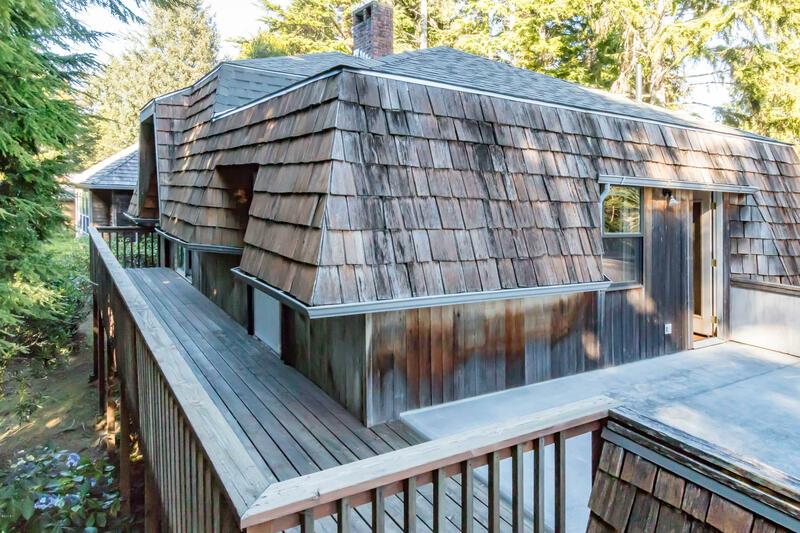 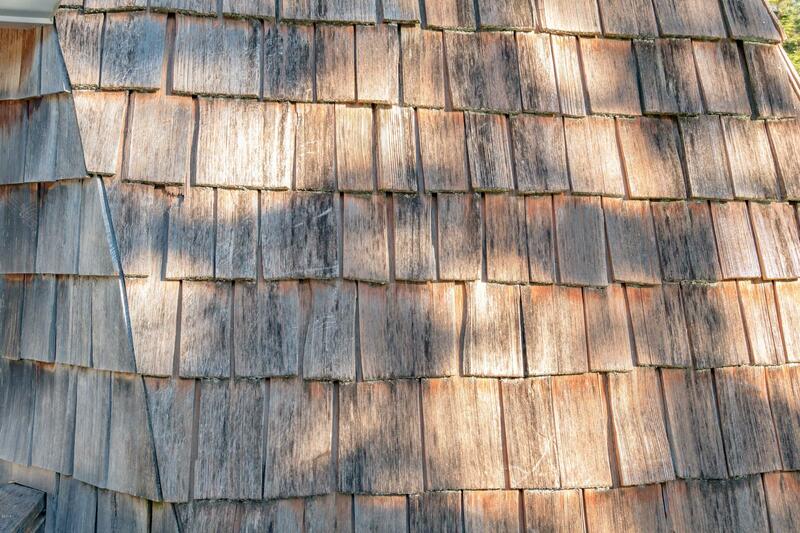 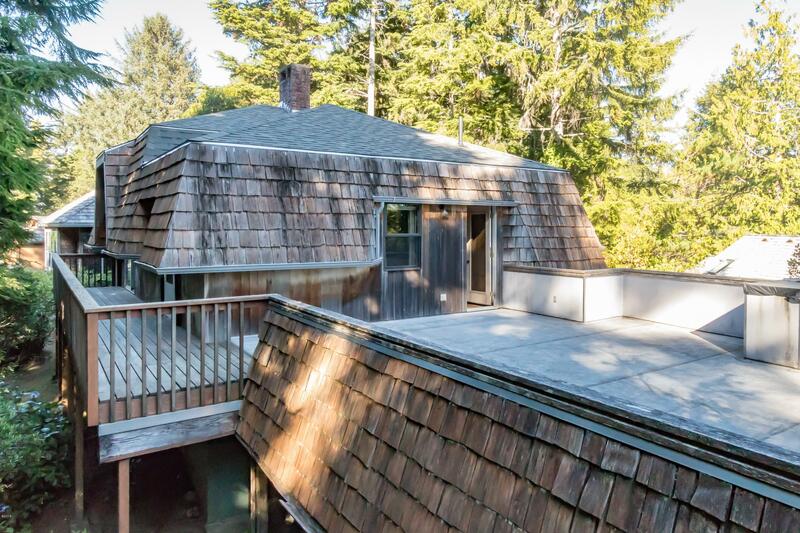 Classic shingle exterior, sunny deck off living area and private secluded location. 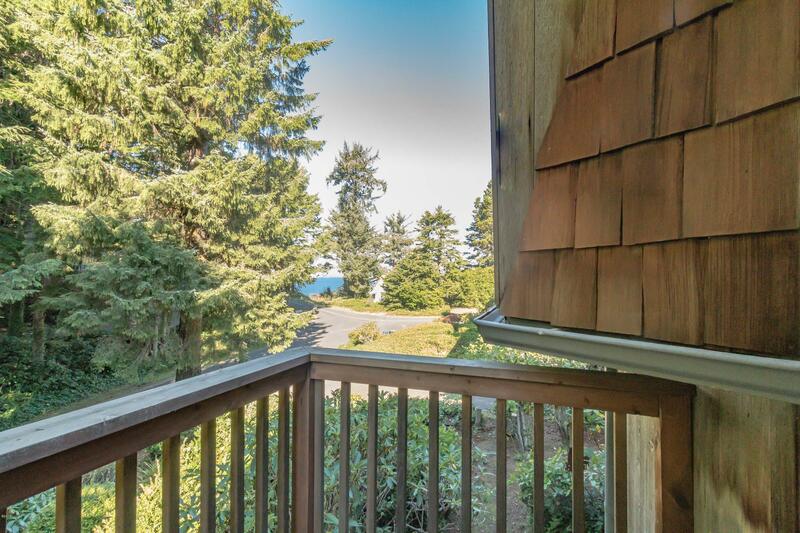 Beach access nearby. 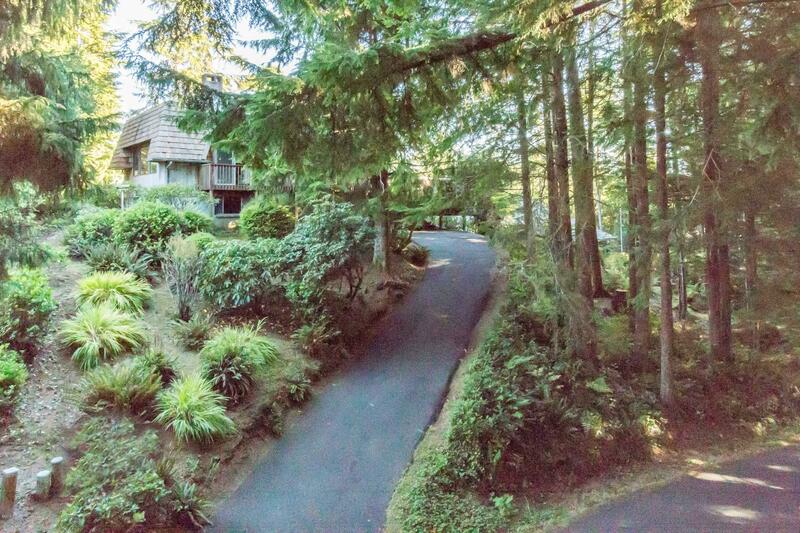 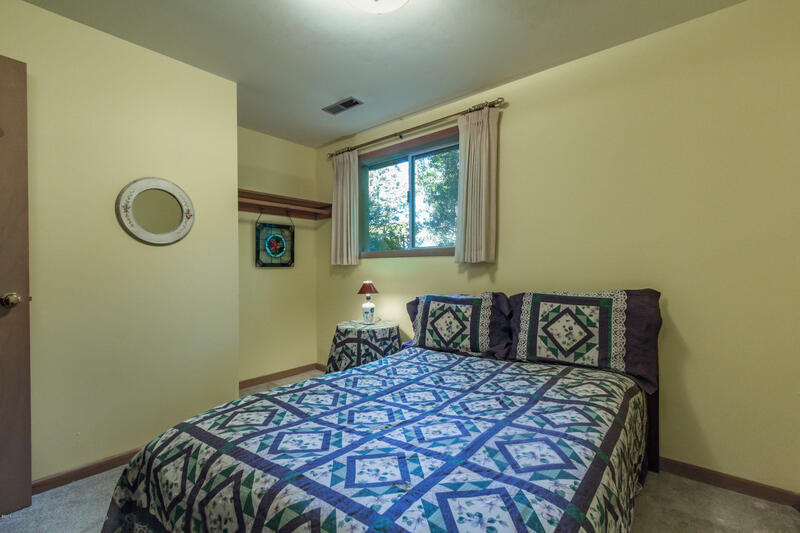 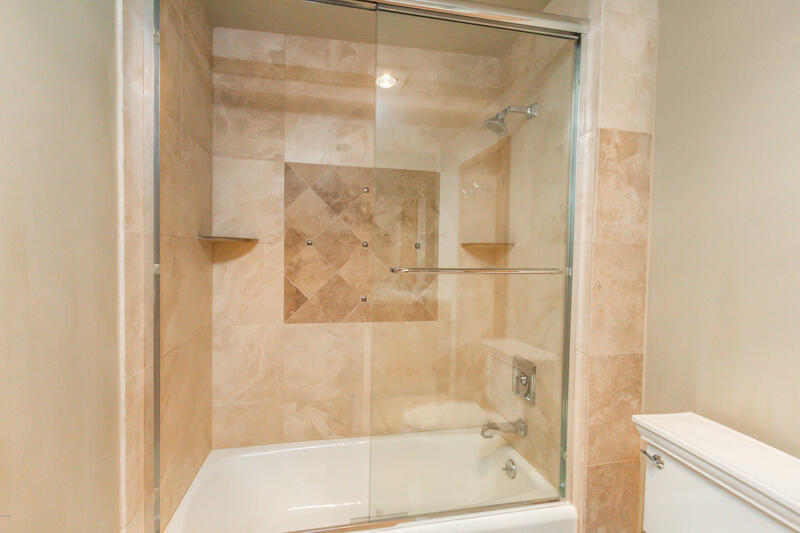 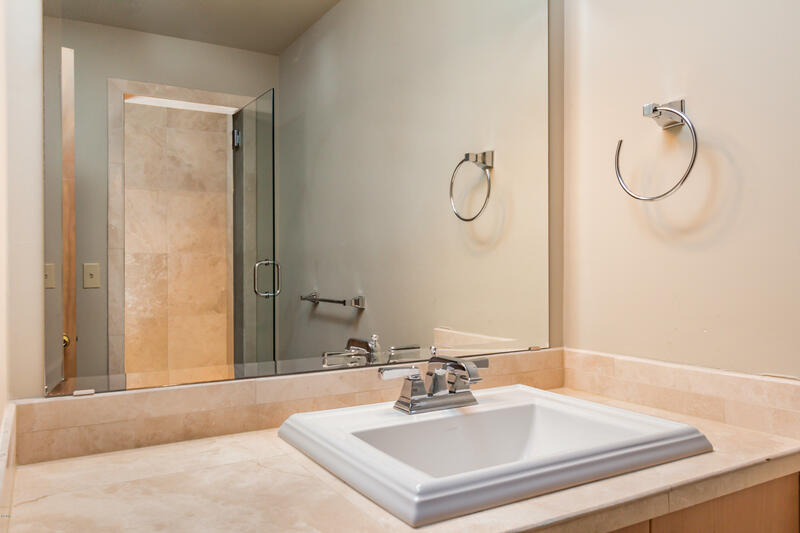 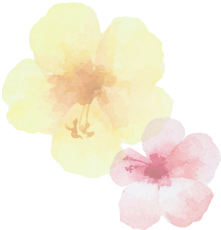 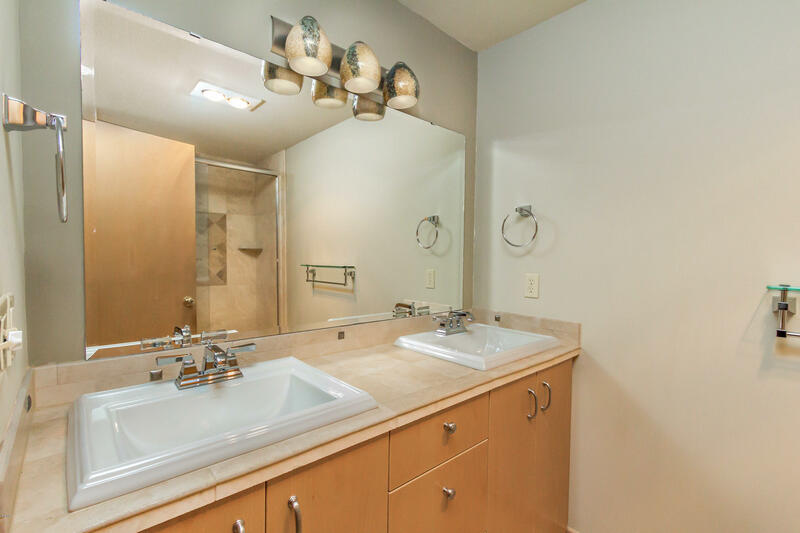 Salishan is a gated community with nature trails, tennis court and seasonal pool.